I’m a sucker for New Years. I never celebrate it with any gusto as I’m usually well played out by the end of Christmas. Looking back over the last few years achievements and adventures while looking forward with the excitement to the challenges to come, gives me great pleasure. I’ve got a big head full of dreams and ideas, and the New Year is my blank canvas! We have some big changes in effect for this year. The biggest one so far has been the decision to relocate to outside of Calgary Alberta. This is something we have been dreaming about and planning for years, but now everything has lined up and it is finally in motion. Our house is currently for sale and we are actively shopping for acreages in the country. 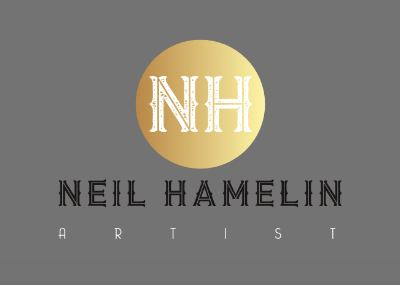 There are a number of reasons for the move, but the biggest impetus is the need for more square footage for our studio gallery and to call home the region that inspires so much of my work. I look forward to discovering what is hidden down the endless country roads! ‘Through The Trees, I will Find You’. Cheri and I enjoy exploring back roads looking for those quiet and peaceful moments to get lost in. Those areas that leave you believing for a minute or two that you have stepped back in history to a quieter time. I get lost trying to imagine what life would of been like in these locations, isolated from the hourly bombardment of news and information from around the world. A chance to live life in the moment, focused entirely on your surroundings. 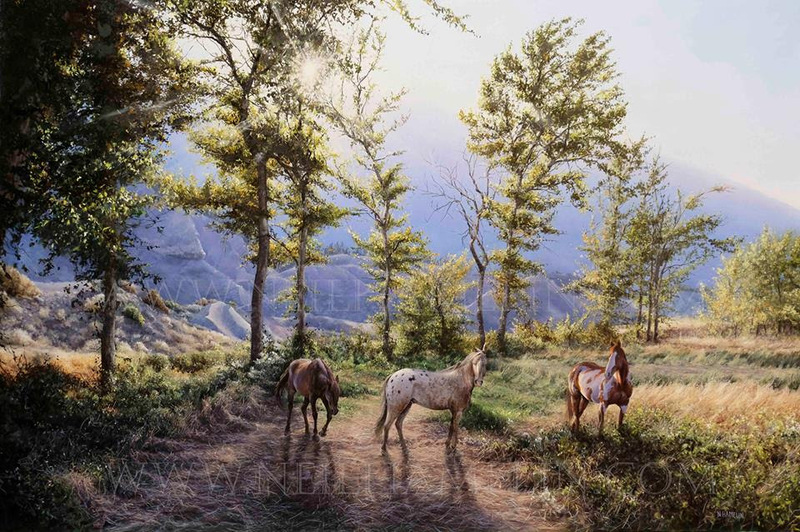 An example set by the peace and tranquility of these 3 horses quietly grazing in the late afternoon sun as it breaks through the trees highlighting the beauty of the landscape. The Summer fires in the Okanagan were just coming to their end, and the smoke particles left in the air created a soft and hazy quality to this scene. I found this painting to be a fun challenge in trying to capture the Suns rays of light through the foliage. I also enjoyed the direct back lit nature of the scene, and the way the highlights and shadows work opposite from each other on either side of the painting. I am very proud of this painting and couldn’t be happier with the end result.